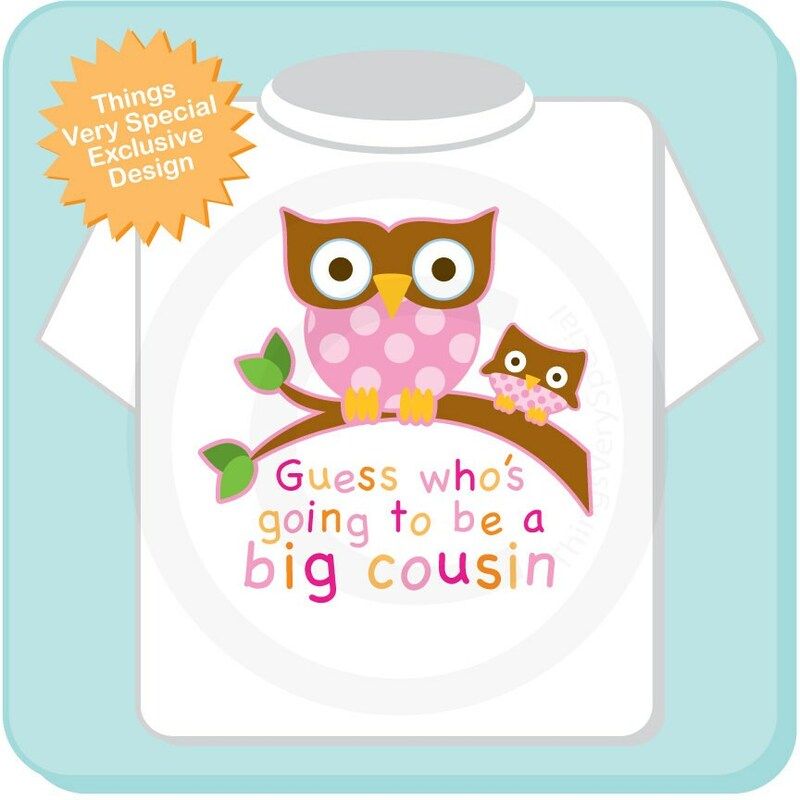 Super cute Guess Who's Going to be a Big Cousin tee shirt or Gerber Onesie with awesome Owls. This one is with baby girl in pink. I do have other combinations in the store. 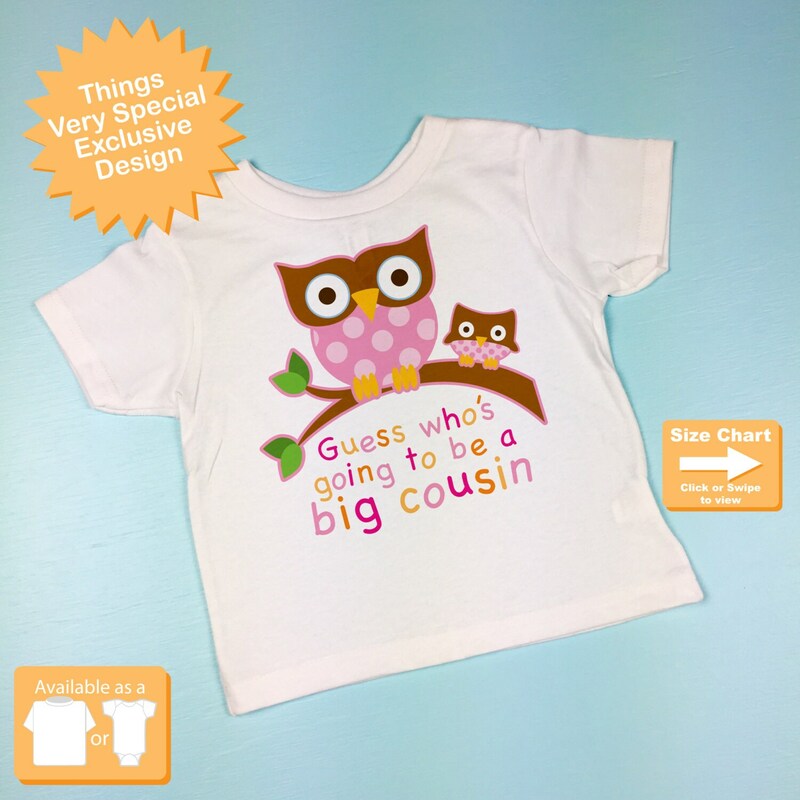 This item can be personalized with the oldest child's name above the art. Item came quickly. I changed my mind on size and color after placing the order and it was no problem to change and came looking great. 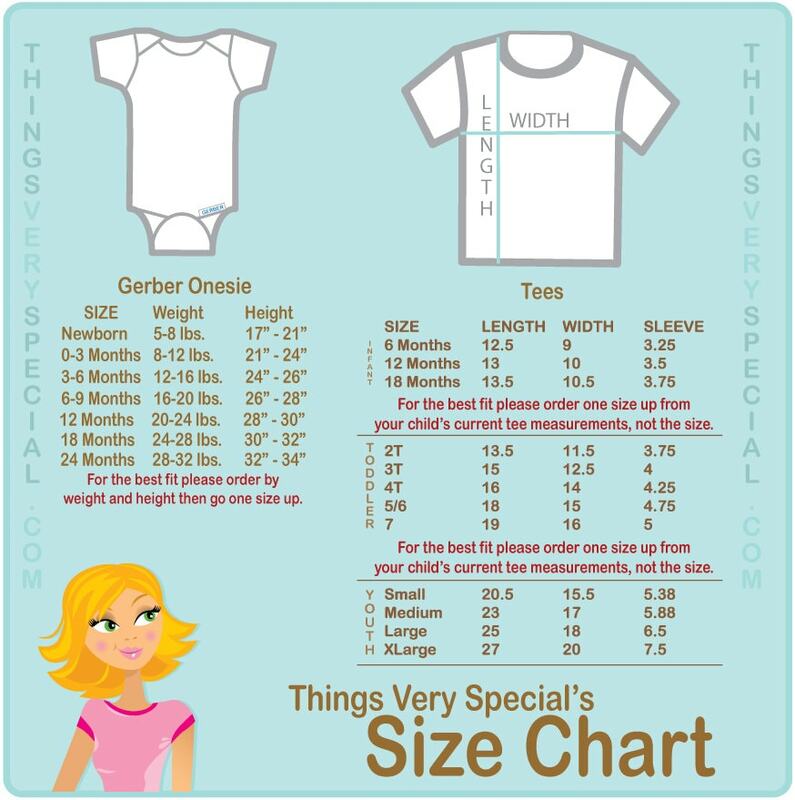 This onesie is so cute! Arrived quickly! Very cute! Shipped on time, true to size.